how to place movie poster on left side corner ? Re: how to place movie poster on left side corner ? I THINK YOU MUST BE V.I.P. 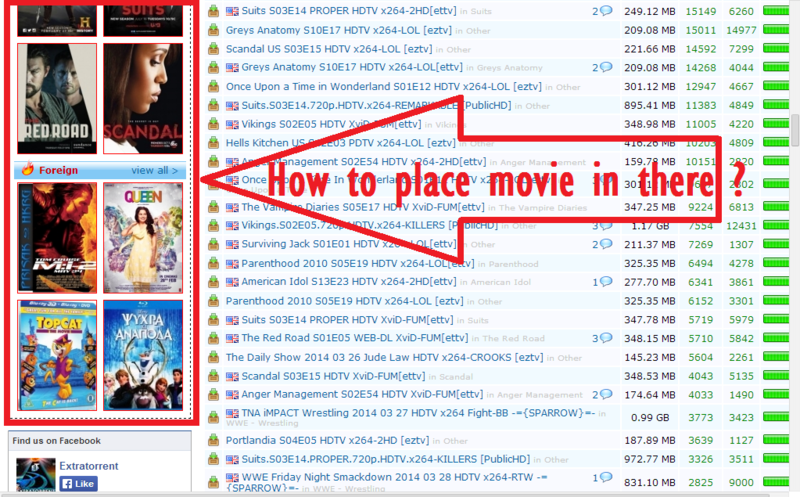 MEMBER OR A TRUSTED UPLOADER OF EXTRATORRENT IF YOU WANT TO POST THERE.